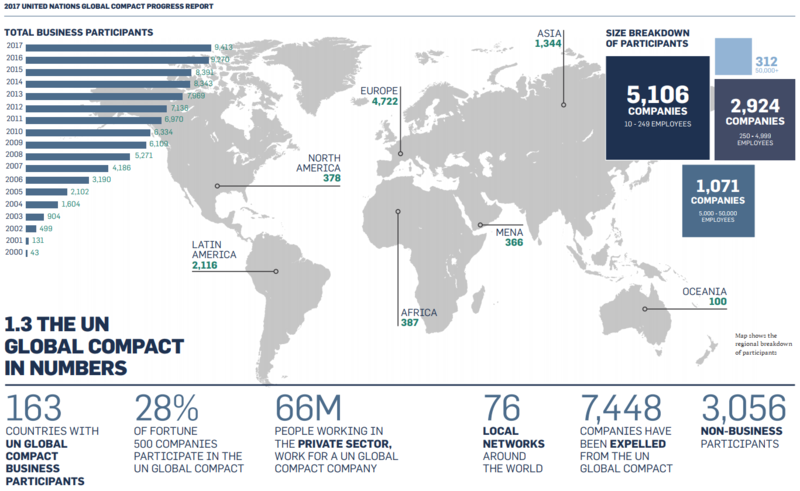 Globally, there are 9 000 companies that signed UN Global Compact and 4 000 non-businesses. Communication on Progress report regularly publish 63 Austrian and 25 Croatian companies. UN Global Compact Progress Report 2018 quotes that among UN Global Compact participants included in the survey 24% of them reported significant positive impact related to SDG 17, 42% somewhat positive impact, 40% targeted the goal and 40% developed products and services contributing to the goal. We enhance partnerships through the CSR Association in Croatian Chamber of Economy, Croatian Business Council for Sustainable Development and other organizations, and support our clients in different stakeholder engagement initiatives. In Austria, we contribute through our memberships in the Steering Committee of the Global Compact Network Austria and respACT – Austrian Business Council for Sustainable Development. Taking part in the UN multi-stakeholder mechanisms to share perspectives and ensure business interests and expertise on science, technology and innovation. Supporting joint development initiatives with governments, civil society and international organizations through advocacy. Promoting and engaging in pre-competitive collaboration with peers around critical issues facing an industry. Participating in international cooperative mechanisms and working with governmental and non-governmental partners to facilitate the diffusion of leading technology, products, systems services and infrastructures and develop in science, technology and innovation.